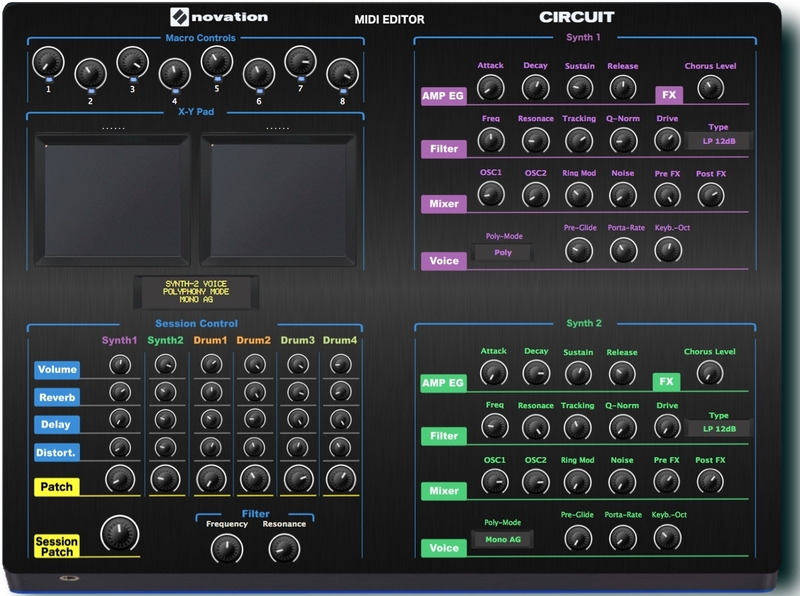 The “Circuit Midi Editor” is a VST / Standalone – GUI for the Novation Groovebox “Circuit”. It is perfect to integrate the Circuit into your DAW. You can control and mixing the Sessions, change and create new sounds “on the fly”. 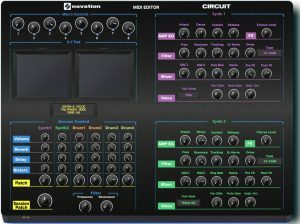 It is possible as VST and Standalone for PC 32/64 Bit and Mac as VST, Standalone and AU. You can select the sound off the “Synth 1 + Synth 2 and Drum 1-4”. 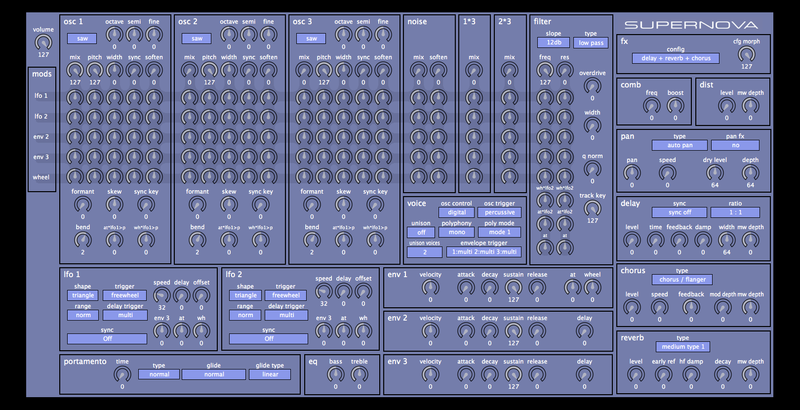 The parameter can be changed on the “Circuit Midi Editor”, and stored on Circuit Hardware. 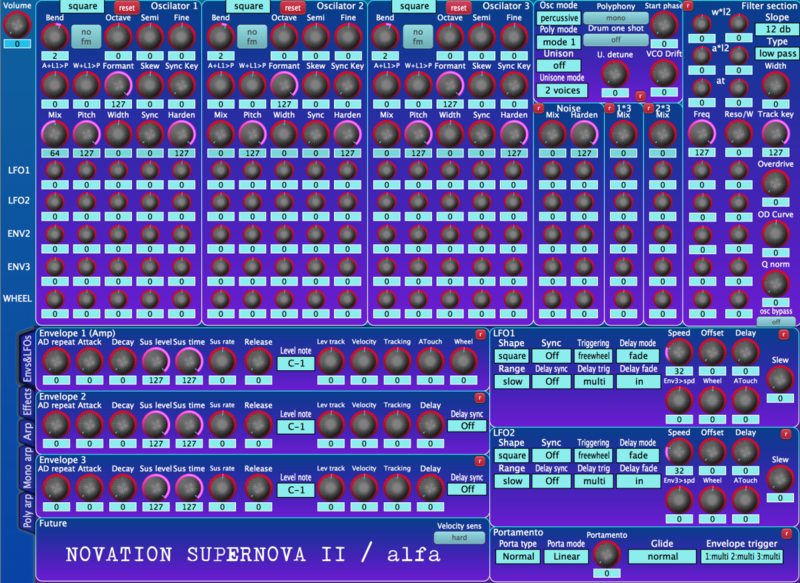 Allows editing of all the part parameters for the original novation super nova. All knob/button/menu based variables are exposed for the 4.1 OS. Does not yet include arpeggio or performance parameters.